Neutrogena Body Clear Body Wash Pink Grapefruit with salicylic acid 8.5 fl oz (250ml). 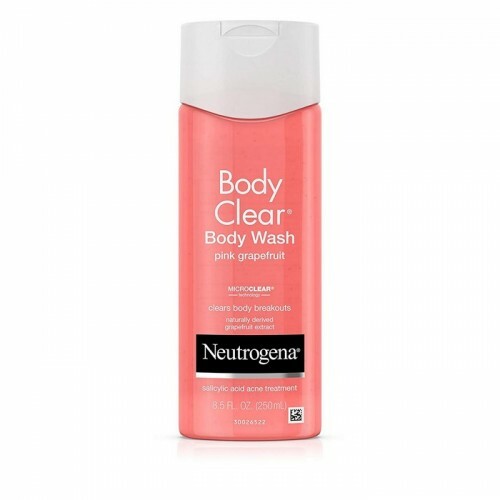 Neutrogena Body Clear Body Wash Pink Grapefruit is a refreshing, clean-rinsing and oil free body wash that treats and helps prevent body acne with an uplifting blast of pink grapefruit. This unique formula features the maximum strength acne medicine salicylic acid 2% boosted by oil dissolving MicroClear® technology. 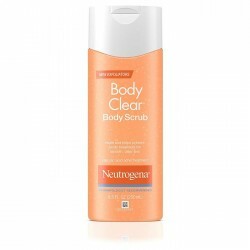 It's specially developed to treat body breakouts such as those on your back, shoulders and chest without over-drying. The bubbly lathering formula contains naturally derived grapefruit extract plus vitamin C and treats your skin without sacrificing your shower experience. 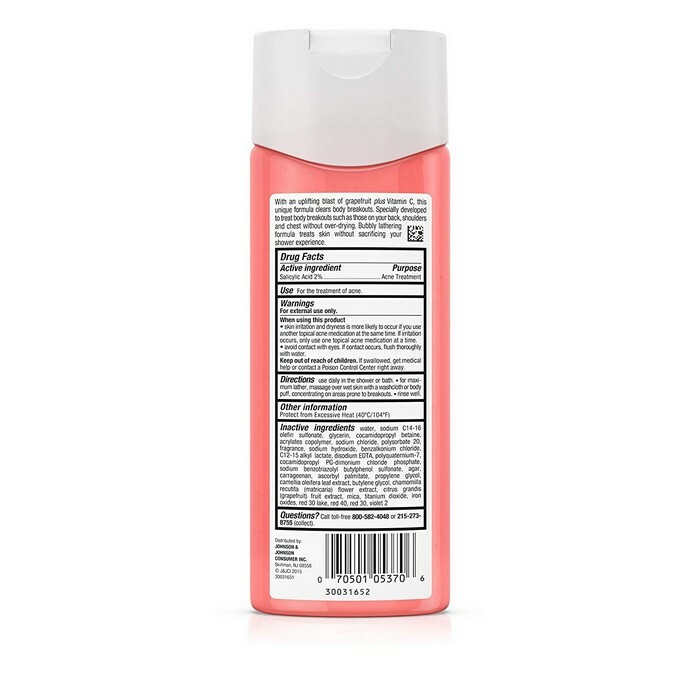 Refreshing body wash fights acne and breakouts on your back, chest and shoulders, and contains a naturally derived grapefruit extract along with Vitamin C.
Features MicroClear® technology that works to cut through oil, allowing medicine to penetrate to the source of acne & breakouts, unclogging congested pores while removing dirt and impurities. Lathering body wash rinses clean without leaving behind a pore-clogging residue and its refreshing pink grapefruit scent will leave your skin feeling fresh.